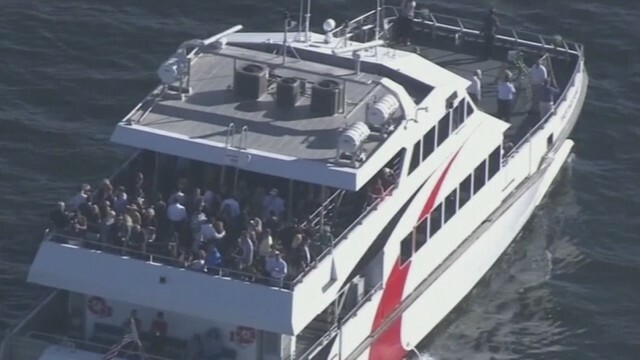 HMS Ferries Inc. and South Swell Development Corp. presented plans to Hillsborough County of a new ferry service they want to launch. The service would begin in 2022. It would include four ferries that can each hold 149 passengers. The service would include routes that would incorporate St. Petersburg, Tampa, South Hillsborough County, and MacDill Air Force Base. One of the routes would transport Air Force base employees from South Hillsborough County to the base. The site location that officials recommended to Hillsborough County is at Williams Park in southern Hillsborough. The route would run between Williams Parks and MacDill. Trams would take employees where they need to go. The service would cut down on commute time significantly, according to officials. "There is no transit service on the west coast of Florida that has frequency of service of 10 or 15 minutes. This is simply the very best service that exists on the west coast of Florida," says Ed Turanchik who is affiliated with Akerman LLP. Routes to St. Pete's waterfront and downtown Tampa are also part of this plan to connect the south part of Hillsborough to both Tampa and St. Pete. Officials today also talked about using more boats during high-traffic times like Rays or Lightning games.